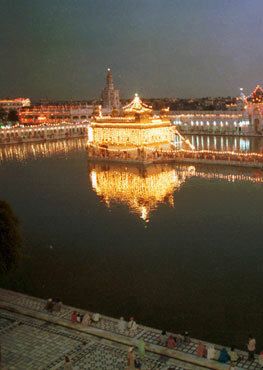 I am humbled to be given the service of writing for SikhNet. Having studied Guru Nanak's teachings and Guru Granth Sahib for many years, and having carried out extensive research on Sikhism, I would like to share my thoughts with others through my regular column here. Sikhism is an open concept which is not restricted to any community, faith, or nationality; everyone is welcome to gain from its timeless insights. Sikhi means "learning" and a Sikh is a "learner". Anyone that devotes their life to learning and living Guru Nanak's teachings is a Sikh. Guru Nanak founded the Sikh way of life to uplift mankind, and let people live their life in celebration on the way to meeting the very purpose for which they were created. Here is my first essay. Hinduism is the third largest religion, but it is largely contained within India. Though it offers a lot of insights for uplifting mankind, it has suffered due to its teachers who did not allow its sacred knowledge to spread, and promoted division between priesthood and various castes they created in their own interest. “Brahmins”, the priesthood of the ancient society had gained knowledge from the Vedas and other ancient scriptures. They were supposed to spread the knowledge among people, but contrary to the cause, they created the caste divide to keep the sacred knowledge to themselves, which prevented its reach to the common man. The teachings of Buddhism are confusing, especially about its ideas regarding human desire which it regarded as the cause of man’s sufferings and believed should be suppressed. Also, becoming a “bhikshuk”, and living on donations is not so great, because, on one hand, it defies the karma philosophy, and on the other, this approach forsakes social inclusiveness. Christians, Muslims, Buddhists and Hindus together form eighty percent of world-population. Evidently, they are the driving forces of the world. But, despite the great teachings of their religions, why is the world living in a state of constant unrest, and seeing unending wars since decades? Are the teachings of their religions wrong that has led mankind into this state of chaos and uncertainty, or there’s some other problem? These ancient religions fail to impress the current generations because people do not relate to them, having become a hypocritical set of “Dos” and “Don’ts” with the business of the middle-men. Time drastically changed since these religions came into practice. In the present time, they have lost their real meanings in a deluge of hypocrisy and extremism. Jihad, for example, is now taken as a “holy war” undertaken by Muslims. However, the real meaning of Jihad, as per Islam, is a person’s inner struggle to walk the way of God. It has nothing to do with war. How can war be holy? Many religious scriptures give a concept of heaven and hell as reward and punishment that has always confused people and led them to be faithful out of fear rather than knowledge and understanding. But now, people question, “How can God give you hell if he loves you?” Such questions drive them towards atheism. The fallacy of religion spread by the middle-men must end. It’s time people should learn the science of religion, and move from “I believe because my religion says so” to a new paradigm, “I believe because I find scientific evidence to support my belief”. Basically, any guidance that is not contemporary is pointless, because, if it doesn’t connect with the present generation, it cannot impact them. Wrong understanding, greed and misplaced explanations of the ancient religious scriptures over centuries have turned around the cause and is the reason the world is seeing unrest rather than peace. Sikhi is the newest ministry which shows the universal order in its original form. Undoubtedly, it is the most relevant in the present time. It is a simple, easy to use knowhow that leads to a personal experience of attainment through excellence. Although, in a population of 7.2 billion in the world, there are only 30 million (0.30%) Sikhs, but this figure is rapidly growing, and more and more people are awakening to the simplicity and truth of Sikhi. No one can stay away from this peerless heritage having learnt its worth. Guru Nanak extensively travelled across thousands of miles and scores of countries to save mankind from the distorted meaning of religion. His message founded Sikhi - the way of living life through the truth of religion. Sikhi has the potential to establish peace in the world. Fortunately, Guru Nanak’s priceless guidance is intact in Guru Granth Sahib in its original unaltered form. It is well-preserved and saved from falsification. Moreover, unlike some other religions, Guru Granth Sahib is the one and only scripture that Sikhs are commanded to follow to save them from confusion. It contains the answers to the most intricate questions about life, its purpose, and how to achieve it. Now, after five centuries since Guru Nanak came on Earth, the social systems, ways of living, thinking, and working patterns have changed in this period. Science has taken over from faith. Today, atheism has emerged as the third largest doctrine that over one billion people follow, which is more than the third largest religion, Hinduism. In the present times, anything that doesn’t come with scientific proof is disregarded. Faith is losing to logic, and atheists, agnostics, secular and non-religious people are rising at an unprecedented pace. In this scenario, Guru Nanak’s Sikhi, which transcends science to spirituality, is even more desirable because it will clear the delusions and dogmas of the popular religions. I feel blessed to have studied the teachings of Guru Nanak and Guru Granth Sahib and immensely gained from the most precious scripture on Earth. This is unparalleled for it is scientific, and answers man’s deepest quests in a rational way. Ever since learning the underlying science of Nanak’s spirituality, and the truth of religion, I felt a great sense of responsibility to take this holy wisdom to the world, and further his mission. I believe this knowledge needs to be presented in a simple and practical manner that becomes an interesting learning experience for the present and future generations. If they understand its meaning, this knowledge can transform people’s lives irrespective of their religion or belief or even non-belief. But, people need to understand it to realize its worth. Everyone, regardless of their faith, colour, cast, creed, social background, ethnicity or any such parameters deserves to live a meaningful purpose-driven life as per the principles laid by Guru Nanak. People will gain from his unparalleled guidance to put their lives on a transformational path and make Earth a better place to live. I am writing a book to this cause and working towards taking the teachings of Guru Nanak to the international audiences to further his mission. 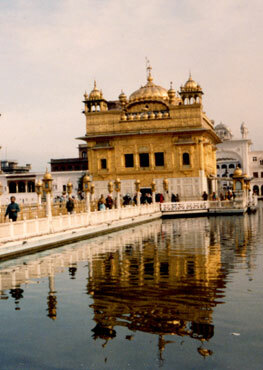 I shall try to present Nanak’s eternal teachings in my future articles which will appear on my page from time-to-time.